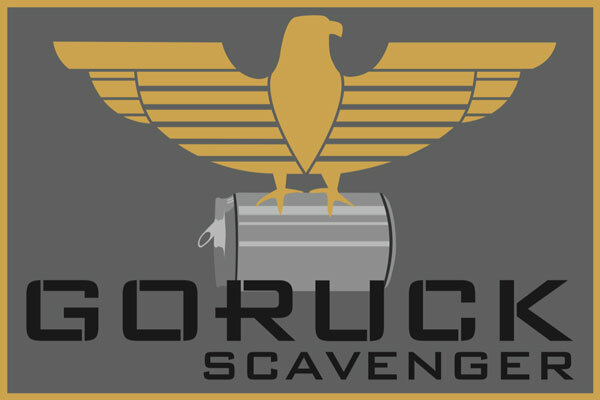 GORUCK Scavenger is open to any and everyone. It is part team-building, part city tour, and all fun. No weight required, no ruckin’ required. You and your team get a Hit List from the Cadre and then hunt the best spots around - on your terms. Rest when you want, hydrate how you want, meet new and old friends, and hang with your Cadre, whose main job is to make sure you’re having a blast. And yes, it still pays to be a winner, but only if you wanna go for the gold patch. You register as an individual but you compete in teams of 4-6 members (recommended). If you don’t already have teammates or a whole team in mind, use your Scavenger’s Facebook page or just show up at the Start Point and find one there. You will receive your Start Point via email the week of the event. Set up an Instagram handle for your team to track photos and points throughout the day. Your Cadre will make sure you have his Instagram handle at the Start Point. Once you receive your Hit List at the Start Point, plan your route. The goal is to get the most points while still making the time hacks your Cadre has planned. Rule #1: Always look cool. #CoolPoints. You earn them by doing extra special things - some are in the Hit List, others are up to you. Be creative. #CoolPoints are awarded at the discretion of your Cadre. Each team keeps track of its own points. Rule #2: Never get lost. The goal is to complete the Hit List and get the most points while still making the time hacks your Cadre has planned. Rule #3: If you get lost, look cool. The first and second place teams will receive custom gold and silver Scavenger patches. In the event of a tie, your Cadre is prepared to execute a tiebreak. You must have all your team members in the photo to receive credit. No exceptions, find a way.